Who’s in charge of the Patient’s Happiness? Much has been written on the role of patient’s happiness as it equates to a positive patient experience. This seems to make sense – happy patients are having a good experience. However, there exists confusion over whose role it is to keep patients happy and if happiness is really an obtainable goal in delivering a positive patient experience. Certainly a patient that has just been told they have a terminal disease, no matter how compassionate and heartfelt the delivery of the message, the patient will not experience happiness. Should staff and physicians just leave it there? 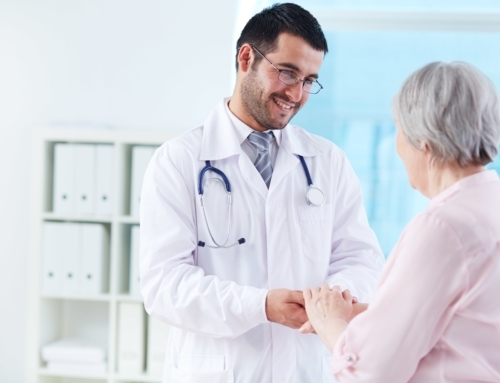 Is it possible (and I believe it is) that although healthcare professionals are not miracle workers, they can and do impact the patient’s experience and may even for a brief moment contribute to some level of happiness. It has been written nurses are not waitresses, hospitals are not hotels, and going to the hospital is not the same as a trip to Disney. This is true. But it doesn’t mean that direct care givers can’t impact in a positive way to a patient’s sense of well-being by being happy themselves and creating an environment for patients that is upbeat and positive. Patch Adams is a world renowned medical doctor, clown and social activist. He’s the founder of the Gesundheit Institute and believes laughter, joy, and creativity are an integral part of the healing practice. 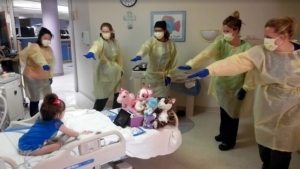 I have seen many examples where this is so, such as in a recent video on social media of nurses using walkers with a patient who was in intensive rehab after experiencing a traumatic brain injury (TBI) dancing to “It’s all about the base.” Another example is of nurses dressed in personal protective gear singing and dancing alongside a child with cancer. Having been a nurse myself for over 40 years, I know they are a very compassionate and fun group. So I was surprised and disappointed when I came across a response to a question posed in the comments section of a blog article inquiring what the nurse’s role should be in the patient’s happiness. The comment from the patient was, “Your job is to make me happy.” The nurse was unsure of how to respond and simply stated, “My job is to make you healthy and happy, but healthy first.” She asked nurses how they would respond. This conversation erupted within the article and on social media comment feeds as well. It was shocking to me how negative the responses were from nurses. 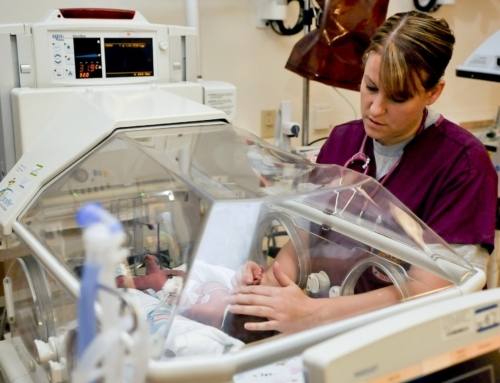 Don’t nurses know how valuable they are to a patient’s sense of well-being? It didn’t matter where the nurse was from, his or her age, gender, education, or experience. I know that we have not lost the ‘care’ in healthcare and that nurses by nature are caring human beings, so why the disconnect? Is it the definition of happiness or is it that nurses do not understand their role in providing an exemplary patient experience? Could it be because a positive patient experience doesn’t necessarily equate to a positive outcome? Do we measure patient experience by how often the nurse came into the room and if the nurse smiled, or do we measure positive experience by the clinical outcome? Or is it something else? Is a patient’s happiness a valid measure? In most industries, happiness does equate to a positive experience. Happiness is an emotion that one feels when delighted, contented, and satisfied. If you called a consumer helpline and the representative on the other end of the phone was pleasant, answered your questions, and resolved your issues with little hassle, one might feel satisfied, have a positive experience, and may feel happy at the end of the transaction. Happiness, I would suggest, however, is not a measure of patient experience by itself, but should be seen in the context of the entire experience, as a patient’s goal of the experience may not include happiness at all. The question I begin to ponder is how do we let nurses know that they are the hand that touches the heart and soul of the patient? That they are the ones who truly make a difference in a patient’s experience? That their attitude, compassion, and presence sets the tone of the interaction with their patients? Perhaps the disconnect is that hospitals are fixated on patient satisfaction surveys and HCAHPS scores and are falling short in engaging their employees to be connected to the patient. Patients who are healthcare consumers and accustomed to exceptional customer experience in other industries are demanding more of the nurse than what might be possible in the world where healthcare providers are forced to do more with less in a shrinking reimbursement model. A patient’s happiness may be the straw that broke the nurse’s back. I think it is reasonable to understand that the patient experience starts with delivering safe care — no patient injured by medical care has had a good experience. Safety is priority number one because it is assumed by patients that when coming to professionals for medical treatment and care they will be safe and not injured. The next level of patient experience is high quality care — harder to define, but critical to delivering the best experience to the patient. Finally, we have to focus on how we deliver the care from the point of first contact, through the stay or encounter, and well after the patient is discharged from service. Simply put, patients are looking for care, competence, and professionalism in their healthcare providers. As providers of the experience for the patients, if we can make them happy in the process of delivering that care, so much more of a positive and lasting impression we can leave on them! Janet Biedron, MSN, MBA, was CEO of Kindred Hospitals of New Jersey-Rahway, Kindred Hospital of Sacramento, and CEO of Vibra Hospital of Sacramento for over 12 years. She is a seasoned successful senior healthcare executive with over 40 years of experience in the industry. 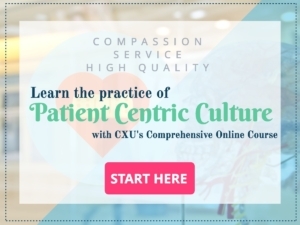 Janet is CX University's VP of Patient Experience Practice and serves on CXU's Board of Excellence.